If you want perfectly cooked hard boiled eggs that peel like a dream every time then you NEED a pressure cooker. Once you make these magical eggs you will never go back. They are soooo easy and soooo fast. And they peel cleanly EVERY SINGLE TIME. You can make 2 or 20 and you will always get perfect results. 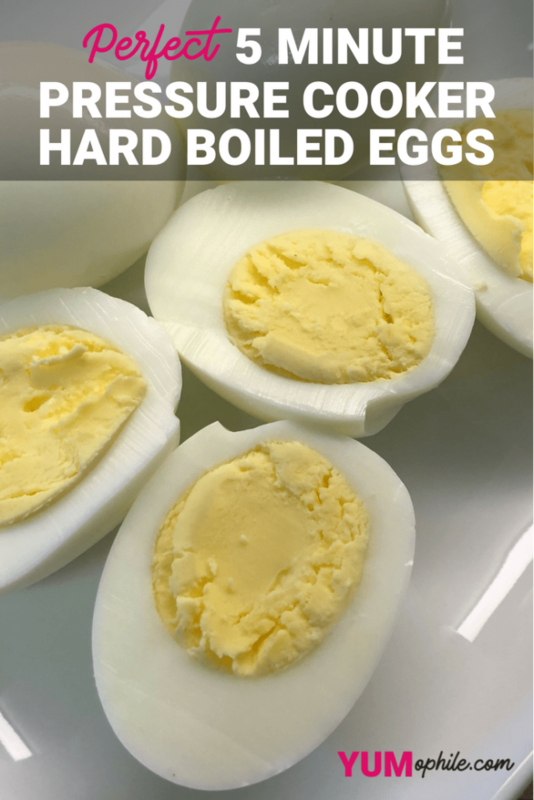 If you make hard boiled eggs even on a semi-regular basis it is worth it to have a pressure cooker or instant pot. In total it will take you 15 minutes from start to finish. It takes 5 minutes for the pressure cooker to pressurize, 5 minutes to cook, and 5 minutes to release. Remember the 5-5-5! The amazing thing about the pressure cooker is that even if your eggs are super fresh they will peel easily every time. They will also be perfectly cooked. Just add them to some ice water once they are done for a quick cool off. Great for egg salad, salad toppings, or even as a healthy snack. 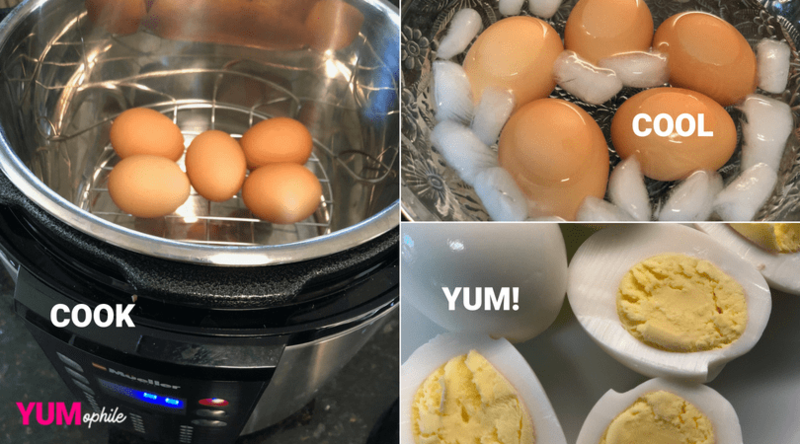 Quick, perfectly cooked hard boiled eggs in just minutes with the pressure cooker. Place eggs in the steamer basket or on the rack that came with your cooker. Seal the lid and use the egg setting or set the pressure cooker to low pressure for a cook time of 5 minutes. Cook the eggs for 5 minutes, and then allow pressure to release naturally for 5 minutes. After 5 minutes use the quick release and open the pressure cooker. Don’t use high pressure or the eggs will crack.